This post was originally written on Tuesday. But the flight was so badly delayed, I didn’t get home till after midnight to post this. Our lead flight attendant just read an ad for a Holden Astra giveaway, with the same lack of enthusiasm I’d feel if I’d recited it as many times as he likely has. Forcing someone to do that surely violates a UN charter. 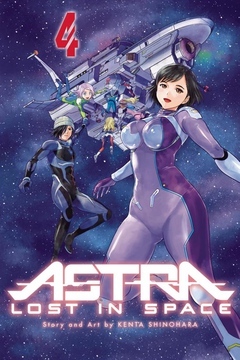 Thing is, he read it just as I was reading volume four of Astra Lost in Space on the Kindle, by the same writer who brought us SKET Dance and everyone’s favourite character Switch. I’d also just finished writing an email to a client running an Asterisk PBX. Okay that last one was a little contrived, but still made me smile. I don’t believe in syncronicities; there are insufficient numbers of them in the tens of thousands of seconds we have in a day to be anything more than noise. But I thought that coincidence was fun :). And as an aside, a comment on the design of another small Holden car was one of my first blog posts.